To go stargazing, all you need is to put yourself outside under a clear sky, but the experience can be made a lot more comfortable with a bit of forward planning and preparation. You will be outside, so dress appropriately. Even in the summer months, the evenings can get quite cold, and in the winters, sub zero Celsius temperatures are quite common.The secret is to dress in layers, rather than to try and wear single thick items, the layers will help trap air between them , increasing the insulation, and can also be discarded if you find yourself too warm. Don’t forget to wear a hat, especially one that covers your ears, whilst gloves can be useful, you may need to keep your hands free to operate things like telescopes or binoculars so we recommend gloves with removable mitten sections or with the finger tips removable. Don’t forget to take a torch, but be careful how you use it. White light torches are great to light your way around, but will mean that your eyes wont be as sensitive to low light levels as you will like, meaning your vision will take time to recover every time you use a white light torch. By far the better option is to use a red light torch. These have the effect of not stimulating your eyes natural responses in the same way maximising your night vision. 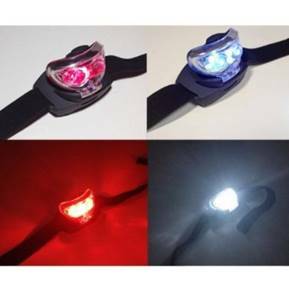 You can buy cheap head torches that have a red LED option – these work well. It is always worth keeping a flask of a hot drink such as tea or coffee to help keep you warm and the sugar hit from chocolate or biscuits will definitely keep your spirits up on the coldest of nights. The simplest of stargazing sessions needs no equipment at all, but if you have binoculars or telescopes, you will undoubtedly be able to see more. If you are not an experienced observer, don’t forget your star charts or books to help you check what you are looking at. A hand held Star chart or planisphere is a great way of understanding the night sky but don’t forget, you probably have a powerful computer in your pocket already – your smart phone. 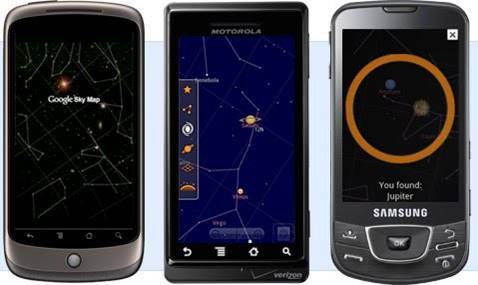 There are now may applications that you can load on to your phones that have the locations of the stars in the sky and can present a real time view of the night sky for you to compare your view with – some of these use the phones GPS, compass and built in inclinomter to mirror the way the device is pointing giving you access to all sorts of information about the object your phone is pointed at. Here is a list of some apps can help flag up events and help you understand the night sky.